Welcome to the SSCC, based in Sleat in the Isle of Skye. 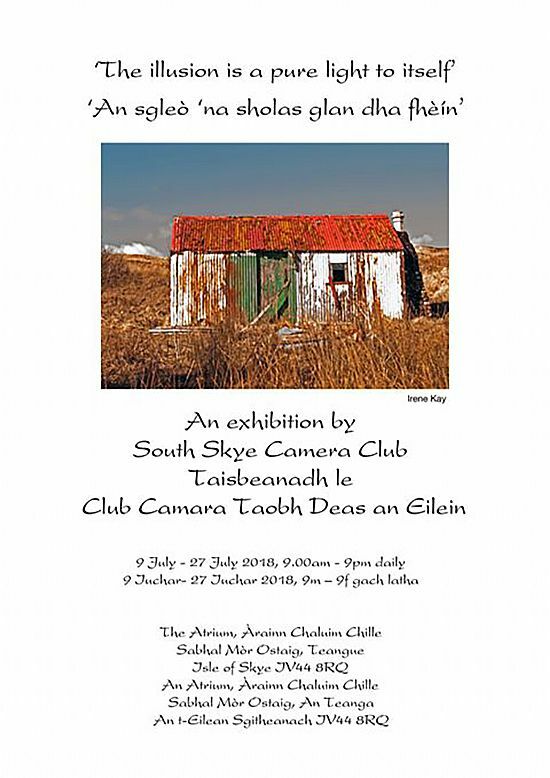 The SSCC photographic society formed in 2013 and now has over 30 members of all ages and from all walks of life, interested in all aspects of photography – from film to digital, from traditional landscapes to contemporary images. Our aim is to help photographers improve their image-making, both in terms of art and technique. New members and visitors are very welcome. You can come and be our guests for a week or two, free of charge, to see if you'd like to join. We look forward to seeing you! can be found at this link and the Club's July Newsletter here. Copyright: South Skye Camera Club 2018. All images reserved.